There are several on-the-go snacks both men and women can enjoy over the holiday season that might boost their fertility levels. As the cold weather sets in, many of us begin to prepare ourselves for the busy holiday season. During this time, we tend to many different responsibilities like preparing meals, buying gifts and readying our homes for family gatherings. Therefore, it should be no surprise that at this time of year, time is lost from our regular eating schedules. For couples observing a diet designed to increase their chances of conceiving, such occasions could be problematic. Fortunately, however, there are certain conception-friendly snacks that can be consumed quickly and easily during the holiday season. 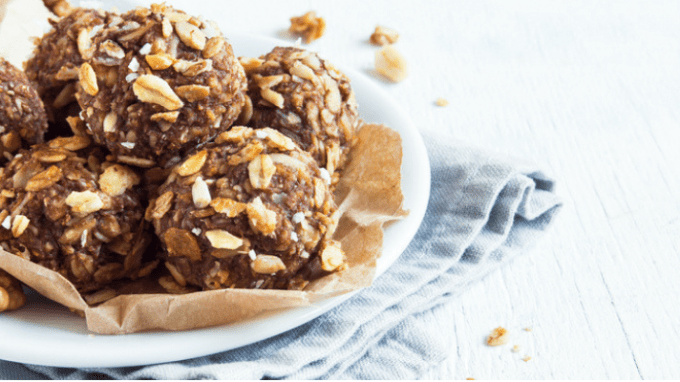 This brief article will highlight five snack recipes that contain natural ingredients believed to enhance a couple’s chances of successfully conceiving. These items are small, which enables consumers to take them to work or other activities and eat them at any time. On several plates, spread out the coconut and sesame seeds. Chop the dates, nuts and goji berries before mixing them with the oats and flax seeds in a large bowl. Mix the peanut butter and flax seeds into the bowl containing the other ingredients. Line a container with paper. After coating hands with coconut oil, use a tablespoon to scoop a portion from the bowl and roll the spoon’s contents into a tiny ball. Repeat this procedure until the bowl is empty. Place your creations on plates and roll them to coat them with sesame seeds and coconut. Position creations into containers and refrigerate for at least several hours. Popcorn can be eaten at any time and is not filling. Using a small bowl or container, mix the sea salt, cumin, paprika and parmesan cheese. In a larger bowl or container, coat the popcorn and pumpkin seeds with butter and add to the mixture in the smaller bowl. Add plain salt and pepper according to individual tastes and flavor requirements. Trail mix contains numerous healthy, fertility-boosting ingredients that provide energy and can be consumed on-the-go. Using a big spoon, mix strawberries, nuts and seeds in a large container. Mix the chocolate chips in last. 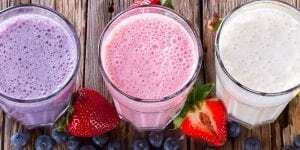 Though its name might imply that it should be eaten at a specific time of day, this item is a quick, healthy, conception-friendly food that can be consumed at any time of the day and while you are in transit. Coat a small microwave-safe container with oil. Whip egg in the container and add salt and pepper (to taste). Microwave the whisked egg for one full minute. Place the egg and remaining ingredients onto one half of the English muffin and cap the sandwich with the muffin’s remaining half. These items can be eaten as a meal or as a quick on-the-go snack. Using a medium-sized bowl, whisk coconut milk, lime juice, lime zest and honey. Stir carrots into the mix and set aside. Using a food processor, finely grind the tofu. Add egg white, cilantro, oats, soy sauce and curry paste and grind items together with the tofu. Make patties out of the items pureed in the food processor. Over medium-heat, add a teaspoon of oil in a frying pan and fry each side of the patties for several minutes or until golden brown. Stuff the pitas with the patties, carrots and cilantro.